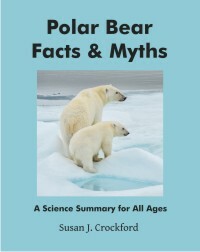 Polar bears are leanest – and therefore, hungriest – at the end of March, not in the summer, as chemist Crispin Halsall stated in a recent article about working in the Arctic. 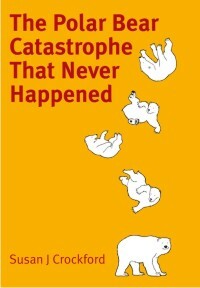 Recent September 1st stories by CNN and the BBC, based on a press release by WWF Russia on 27 August 2015, that five bears in the southern Kara Sea were hanging around a weather station and frightening workers there, apparently prompted chemist Crispen Halsall to make a nonsensical statement about polar bears being at their “hungriest” in summer (first here, reproduced here and picked up yesterday (September 5) by The Guardian here). 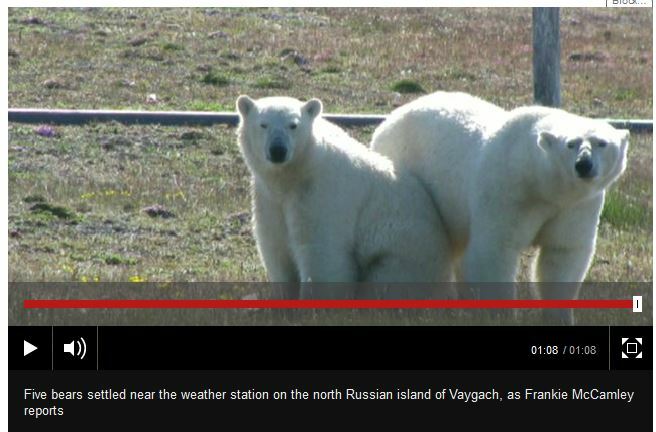 “The case of Russian scientists trapped in their remote Arctic base by a group of inquisitive yet hungry polar bears does not come as a surprise. 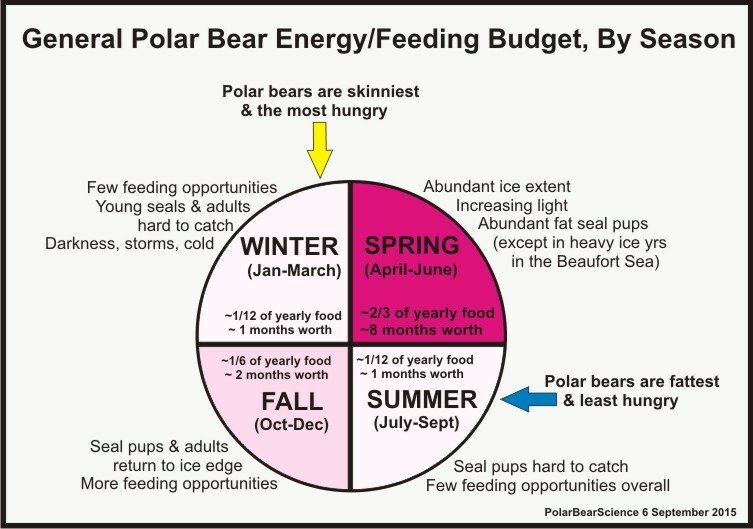 By late summer, Arctic sea ice is at a minimum and polar bears are effectively landlocked in coastal areas eagerly awaiting the return of ice during the autumn freeze and the chance to hunt seals again. 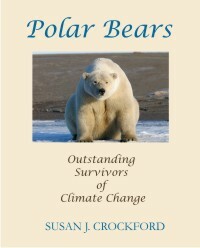 Polar bears might approach humans working in the Arctic during the summer because they are curious and/or bored, and they might attack and even eat humans because they have a drive to eat whenever the opportunity arises. But it’s not because they are “hungriest” in the summer. The CITES working group meeting that just concluded in Tel Aviv, Israel a few days ago decided it would not recommend a vote to move polar bears from Appendix II, where they are now, to Appendix I, at the next general CITES meeting in 2016. It appears, however, that the US – which was behind failed petitions in the past (in 2010 and 2013) and voiced an official objection to this 2015 decision – is threatening to raise the issue again at the next all-nations meeting of CITES in September 2016 (probably with a petition at that meeting). The USA is trying to bully Canada and the international community to adopt its own shaky interpretation of what constitutes good polar bear science and it looks like it may refuse to give up until it has won.